James Harry Miller, age 84, passed away December 6, 2018 at Susque-View Home. He was born in Lock Haven, PA on January 23, 1934 to the late Theodore Miller and Ellen (Freeze) Miller. James (Jim) married the former Dorothy Shetler in September, 1952 and shared three children together: Dr. Karen (Donald) Dale, Scottsdale, AZ; J. D. (Theresa) Miller, Mackeyville, PA; and Jeffery (Faith) Miller, Mill Hall, PA. Despite divorce, Jim and Dorothy remained lifelong friends. Jim is also survived by a sister Phyllis Reish, McElhattan, PA, and brother Thomas Miller, formerly of Lock Haven, PA. Grandchildren include; Brad Dale, Shaun (Kristy) Dale, Jessica (Michael) Miller, Elizabeth (Daniel) Sutter, Dr. Rebecca Miller, Jeffery Miller and Jonathan Miller. Jim was also the proud great grandfather to Hailey Dale, Mara and Lucy Miller, Adeleine and Ian Sutter, and Ella, Carson, and Eli Miller. In addition to his parents Jim was preceded in death by his sister Barbara Grotzinger and great grandson Isaac Sutter. Jim was a sports enthusiast all of his life. He was an avid bowler who added four perfect 300 games to his accomplishments. While his golf game was not considered as exceptional, Jim enjoyed a good game of golf any day. For many years Jim was a season ticket holder for Penn State football and enjoyed days spent tailgating and watching ‘his’ team play. Fishing was another hobby that Jim loved and he spent many weekends with his young family fishing at Fisherman’s Paradise. 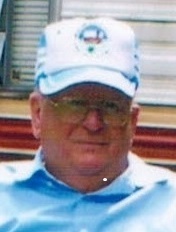 Jim was employed for 29 years at Piper aircraft in Lock Haven. He was also well known in the area as a master bartender working most notably for the Elks Club. After Piper closed, Jim moved to Mount Joy, PA. He worked as the bar manager for the exclusive Hamilton Club in Lancaster, PA prior to his retirement. Jim moved back to the Lock Haven area in 2014. A memorial service in celebration of Jim’s life will be held January 20, 2019 at 2:00 P.M at the Dean K. Wetzler, Jr. Funeral Home, 320 Main St., Mill Hall, PA. Friends will be received 1 hour prior to services in the funeral home. The family requests that donations in Jim’s memory be made to the Clinton County SPCA, the Lock Haven YMCA, or to the Ross Library through the funeral home.